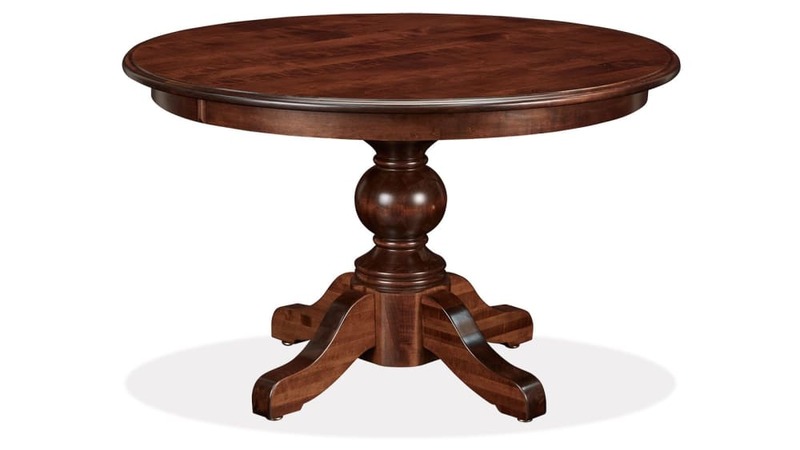 Imagine yourself relaxing in style with the Baytown Asbury Maple 48-inch Round Table. Plan a small dinner gathering or simply spend time with your family, as you enjoy the elegant feel of this American-made piece. This beautiful table offers a traditional design to complete the look of any kitchen or dining room. 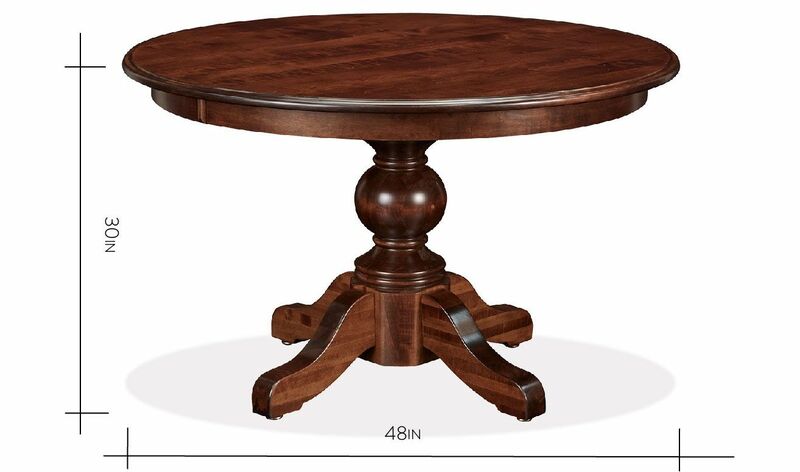 Enjoy the simple elegance this table brings, with its gleaming Asbury finish over the top of smooth, solid wood. With traditional Amish woodworking, this table is built to last for generations. Add this to your collection to start creating lasting memories of special family experiences. This chic American-made dining table boasts experienced craftsmanship. Traditional Amish woodworking means this piece will last a lifetime. The solid maple wood shines under the high-luster Asbury finish. 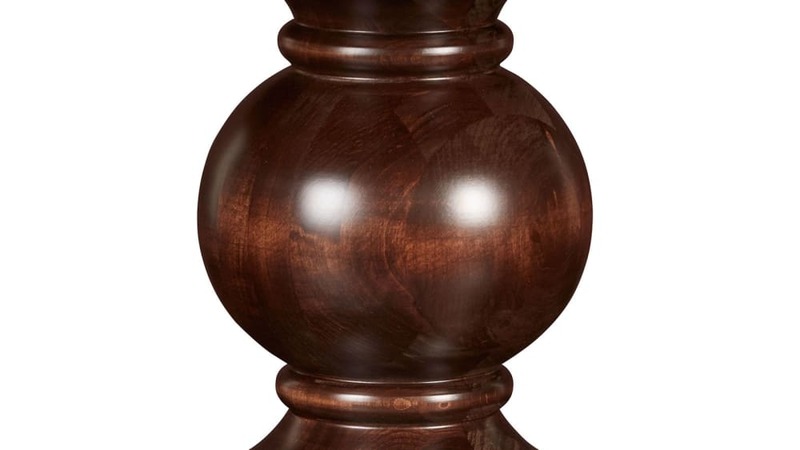 A graceful pedestal base supports this table from the bottom up. The style is complete with thumbnail edge detailing. 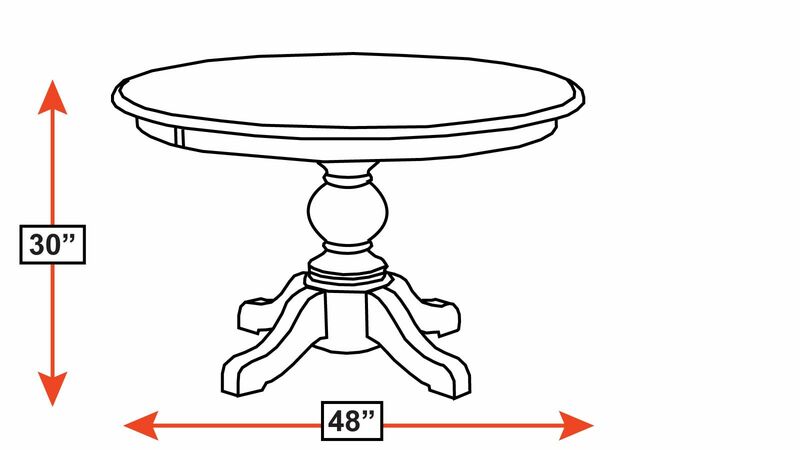 With solid maple wood construction, the Baytown Asbury Maple 48-inch Round Dining Table is built to last. 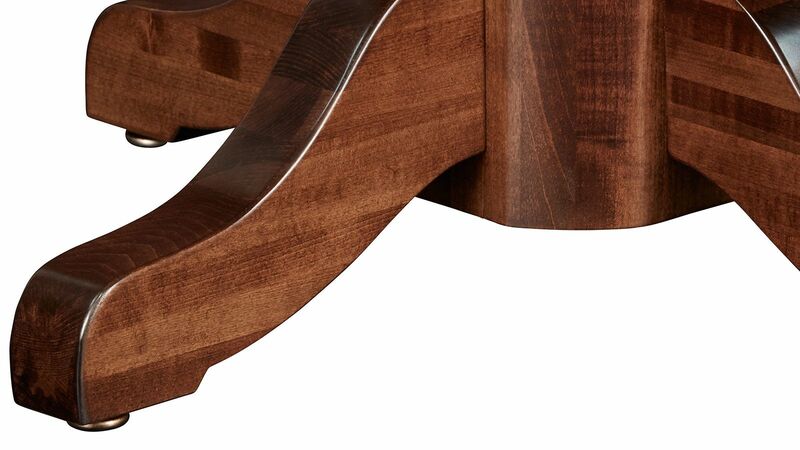 This piece's Amish woodworking style uses only the best materials. 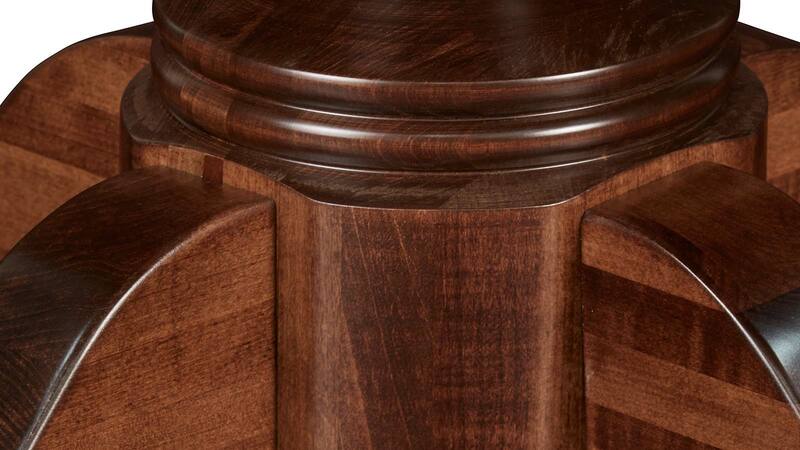 Your guests will be amazed by the fine detailing and brilliant brown Asbury finish. Complete your furniture collection TODAY with Gallery Furniture's same-day shipping. This table will arrive on your doorstep in no time. You won't be waiting long before you can incorporate such a sophisticated piece into your home decor.